At present, the petition is fewer than 100 signatures away from its original goal of 25,000, meaning the goalpost will likely soon be moved further back. The creator of the petition is certainly enthusiastic about the idea—the Deadpool part of it, anyway, less so the actual SNL program. I have not watched a full episode of SNL in years because I just haven’t been able to stomach an entire episode, but having Deadpool host, star, and be all over the episode would get the DVR set so I can watch it again and again!!! Not to mention, depending on the musical guest, how awesome would it be to have some Deadpool interpretive dancing while the musical guest was playing? There’s unlimited possibilities!!! While it may be a demonstration of the linguistic violence visited upon the word “unlimited” to really mean “two ideas,” it still suggests the wise-cracking badass would make for a ratings bonanza. 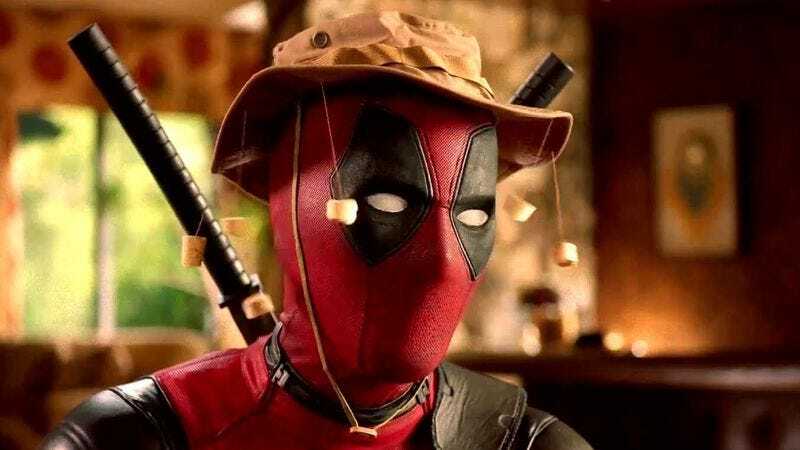 Sure, he would undoubtedly break the fourth wall repeatedly and refuse to stay in any other character but that of Deadpool, but unlike Jimmy Fallon, he will at least be intentionally sabotaging any sketches he may appear in.